How do you make an Airstream Classic? It begins with an elegant floor plan, designed to make dining a pleasure, sleeping a sanctuary, and relaxing a priority. Our largest exterior and interior storage spaces keeps organization simple. Three easy-out awnings further expand your living space to the outdoors. Add luxury fabrics, fixtures, and unique, durable, marine-grade flooring and voila! It's a Classic. THE HEART OF THE AIRSTREAM FLEET. Exterior Height with A/C 9' 9.5"
Lazydays is second to none in customer service. Plus, we offer valuable benefits and incentives you won't find anywhere else. The essence of elegant design, blending solid-wood cherry cabinets with premium Corian® surfaces and plush Ultraleather seating into a design that is at once both contemporary and classic. From the warmth of the plush, full-close-out, window coverings to the durability of the marine-grade luxury flooring, there is craftsmanship and luxury rooted in every inch. When you explore The Classic at the Airstream Store at Lazydays you'll be impressed by the complete redesign which provides every home comfort while on the go. Its elegant design creates comfort in all you do - dining, sleeping, or just enjoying the view. Its new floorplan was designed with long-term residence in mind with ample space to work and live. 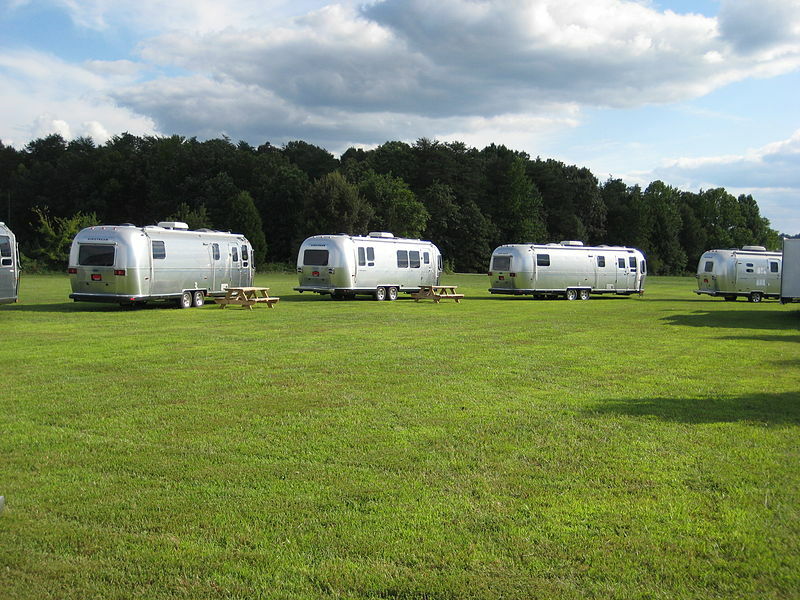 There's even more to Airstream than meets the eye. Our Travel Trailer brochure will tell you everything you need to know to decide which trailer is right for you, from in-depth specs to floorplans to model-by-model comparisons - all in one place.